Is there a confirmation coming up in your family or among friends? Each plaque is personalized: you’ll add the recipient’s name, confirmation date, church name and location, as well as the confirmation verse. 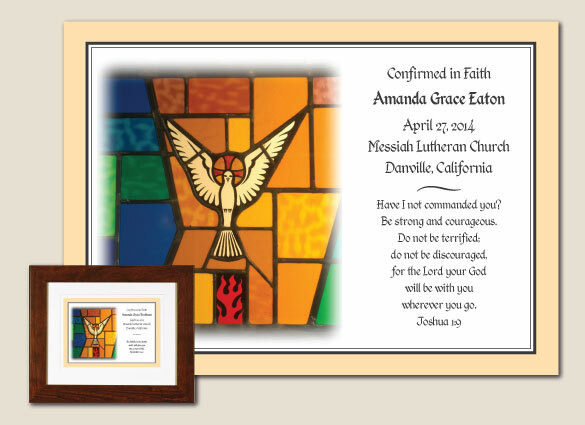 Our confirmation mementos are custom-created using premium, museum-quality materials. This is a unique gift that will be treasured!